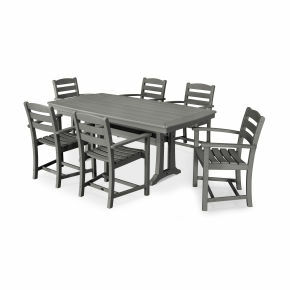 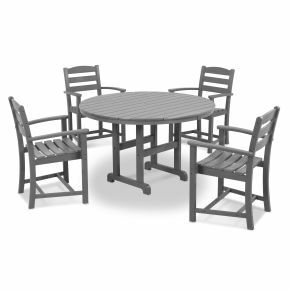 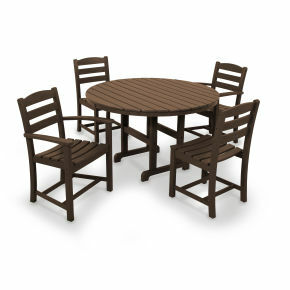 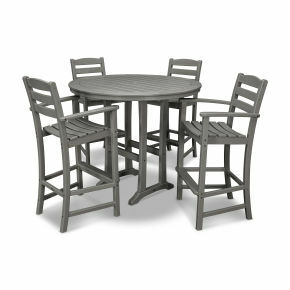 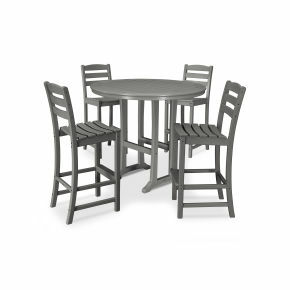 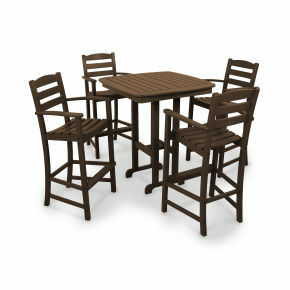 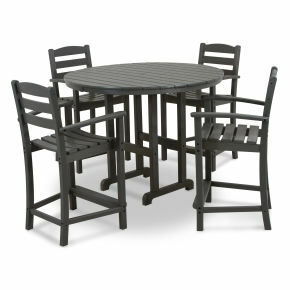 Create an intimate outdoor dining space with the La Casa 5-Piece Nautical Trestle Side Chair Dining Set. 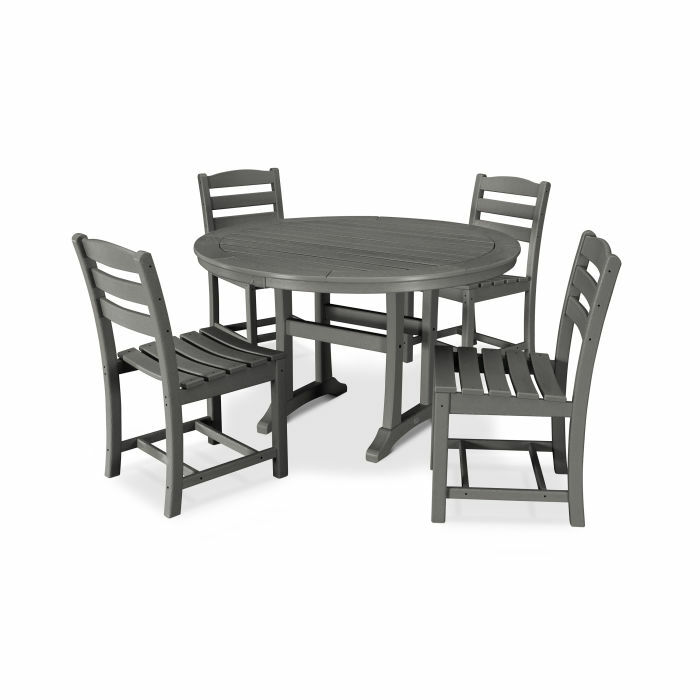 This dining set seats up to four guests and features a table top with rounded edges and space for plenty of leg room underneath. 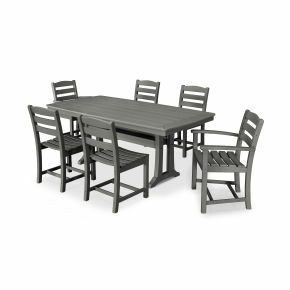 Create an intimate outdoor dining space with the La Casa 5-Piece Nautical Trestle Side Chair Dining Set. 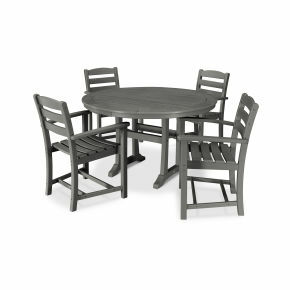 This dining set seats up to four guests and features a table top with rounded edges and space for plenty of leg room underneath. 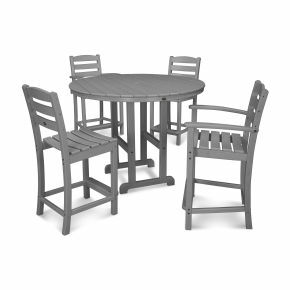 Paired with traditional La Casa Café Dining Side Chairs, this set is sure to keep dinner conversations going long after dessert has been served.